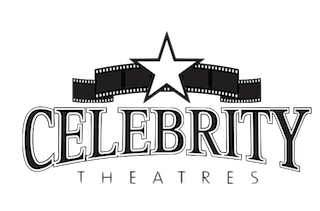 Celebrity Theatre | Birthday Parties at Celebrity Theatres of Baton Rouge! Birthday Parties at Celebrity Theatres of Baton Rouge! Click the link below to head straight to availability and booking! Celebrity Theatres of Baton Rouge is proud to offer some amazing birthday party pacakges, great for any family! Having a party at Celebrity means fun for all of your guests, a party host to entertain and assist all of the kids, and a hassle free day for parents! You proivde the cake, and we'll provide everything else! Perfect for those "at-home" parties that need just a little flair. Fpr $18.00 per child, your package will include a reserved seat for the movie of your choice, a concessions pacakge with unlimted refillable drinks, and a $10.00 arcade card preloaded with 25 tickets! A variety of add-ons will be available at checkout, including discounted ticket pacakges for adults joining the party. If you don't see something you'd like to add on, just ask! We may be able to make it work. Times and availablity will vary and are subject to change based on the curret movie offerings.